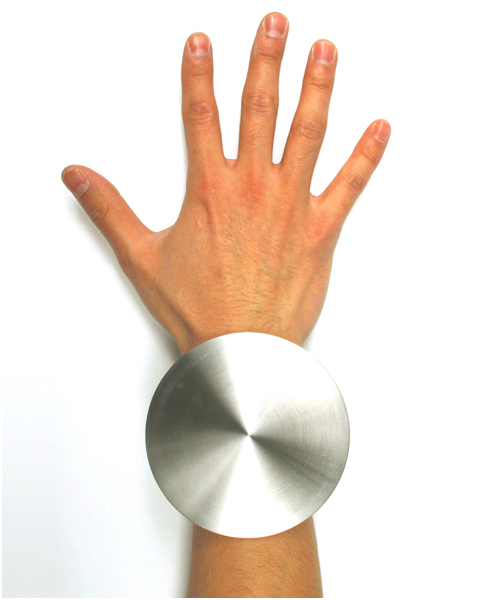 In 2005, Tokujin Yoshioka designed this “TO” watch for Issey Miyake. 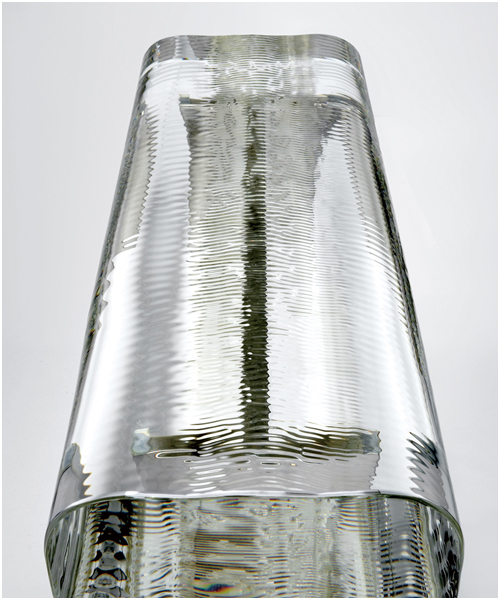 The design itself was about bringing out the beauty of the material. 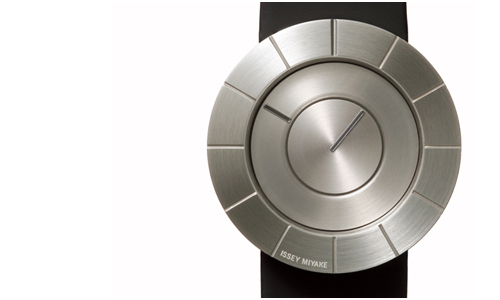 This was his first collaboration with Issey Miyake on the Issey Miyake Watch Project. TO aimed to capture the beauty of the material itself as if it was sculpted from a lump of metal. I always find beauty in the backside of watches. When I saw the round metal, which functions to press the glass window, used in architecture, I imagined if it was possible to create a watch as if a lump of metal tells the time. I wanted to create a watch without a sign of present nor the future. I believe by designing the structure itself, not from form, I was able to create a watch based on a new concept, which you will feel fresh even after 10 years from now. The other piece worth mentioning is the Water Block, which was created in 2002. 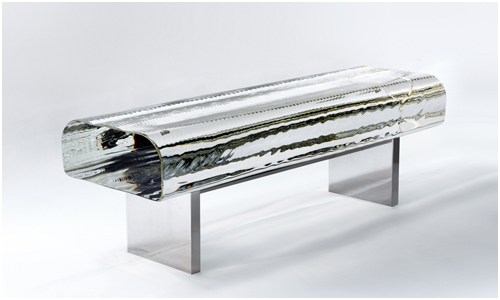 Produced with platinum mold, this bench is made from a special optical glass that is used on the Space Shuttle. The outcome is a bench that seems to be sculpted from a block of water, which is an inspiration for the “O” watch today.